I've had an unusual obsession with sweet potato lately. And by unusual I mean it's not that weird, but weird enough that Matt has had to ask me about it. You guys, I'm literally adding sweet potato to everything. He thinks I'm crazy. 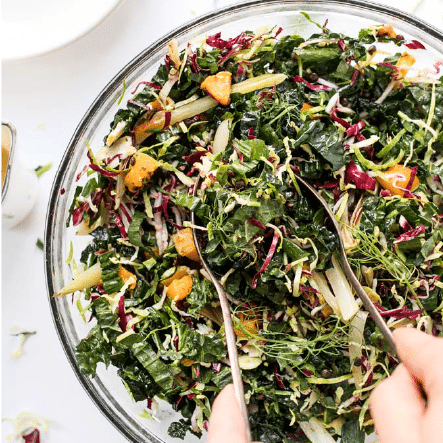 It's on top of my salads, in wedge (or fry) form, mashed, blended in soups, even into my morning smoothie. If it's a sweet potato, I'm finding a way to add it to my meal. At first I thought I was turning into a crazy person, but now I've realized I can blame my sweet potato cravings on two things: 1) it's starting to be fall and sweet potatoes = fall and 2) I didn't have a single sweet potato ALL summer (not one!) and it's one of my favorite foods. So….sweet potato all day, every day. Usually, I'm a sweet potato wedge fan. And confession time… sometimes when Matt isn't home for dinner, I just make myself a huge green smoothie and a plate of sweet potato wedges. With a side of Sriracha ketchup 🙊🙈 I know. But don't knock it till you try it. It's kind of the best dinner ever. Anyway, back today's recipe. We're swapping out the wedges with something a little bit more fun: fritters. 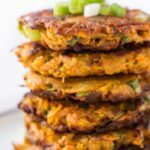 And these particular fritters use only 5 ingredients: sweet potato, quinoa flour, scallions and salt. And all you have to do is mix everything together in a bowl, form them into little patties and toss them in some coconut oil to sear. Couldn't be simpler or more delicious. 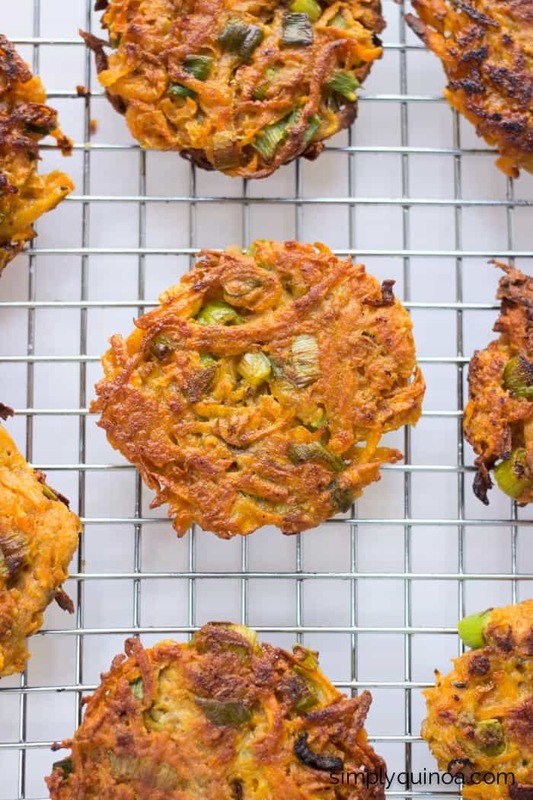 Even though these little fritters are super simple, they're packed with flavor. 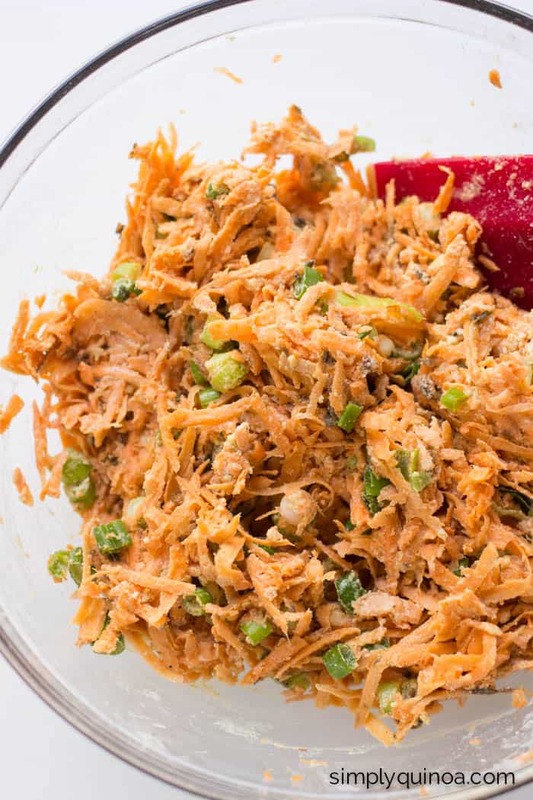 They're sweet, savory and have just the faintest hint of coconut. I think they might just be replacing my wedge addiction! And if you want to add even more flavor, you can certainly jazz these babies up with different herbs and spices. I'm thinking they would be delicious with some curry powder or maybe some chili powder. OR you can even make them on the sweet side and swap out the scallions for cinnamon and maybe some apple? For now, I'm just going to leave you with this. 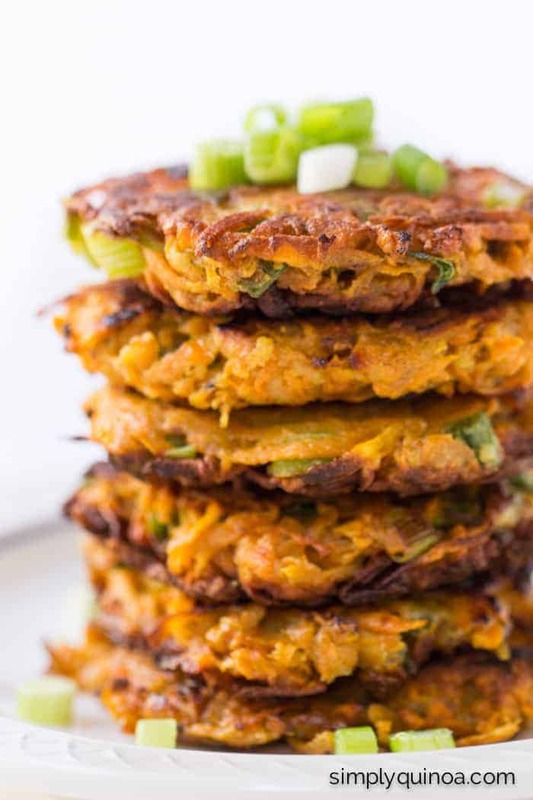 These sweet potato quinoa fritters are the perfect side dish or fry substitute. And in case you're wondering, they're totally awesome dipped in ketchup. YUM! 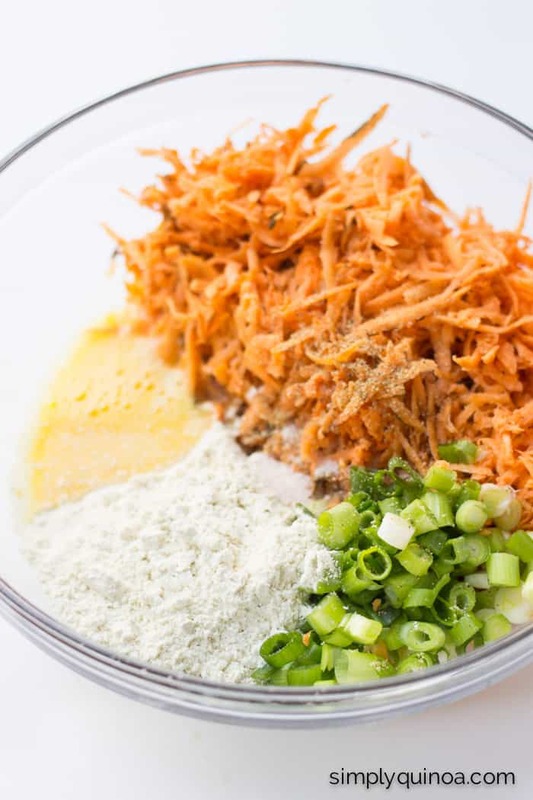 In a large bowl, combine the sweet potato, flour, scallions, egg, salt and pepper. Stir the mixture together with a spatula or wooden spoon until combined. Add 2 - 3 tablespoons of coconut oil into a large skillet over medium-high heat. 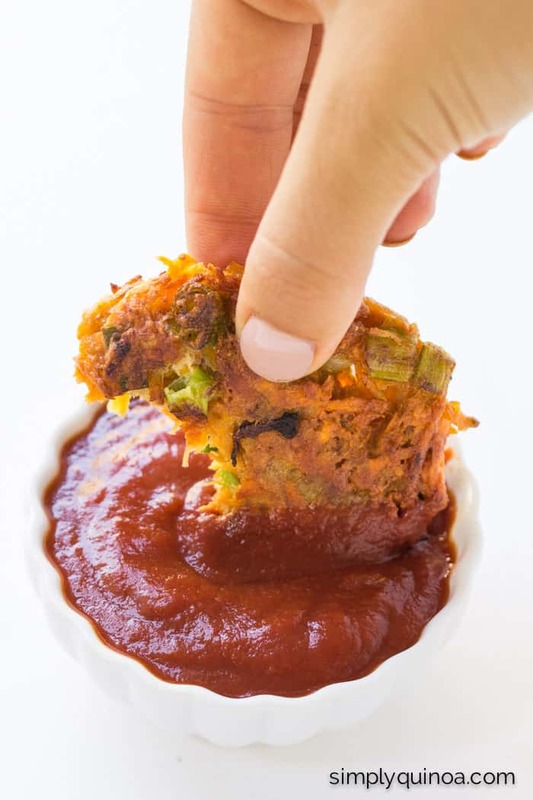 Once the oil is hot, form small patties out of the sweet potato mixture in your hands. Cook the fritters until golden brown, about 2 - 3 minutes, then flip cook an additional 2 minutes. 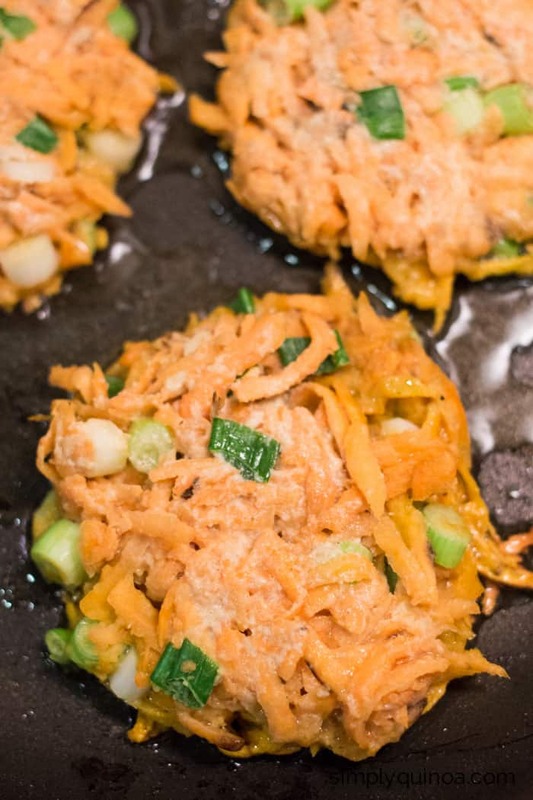 Transfer the fritters to a cooling rack. Serve slightly warm as is (or with some Sriracha ketchup - yes!). I made these with a bit extra quinoa flour and spiced it up with smoked paprika…they were good! Hello can I use oatmeal flour cos that’s what I have. Thank you! 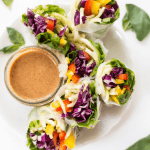 I am going to try these with coconut flour and add a little heat. I guess a cross between spicy and sweet! I love the simplicity of this recipe. I did not see how to make quinoa flour. (Skimmed, it may be in your recipe?) 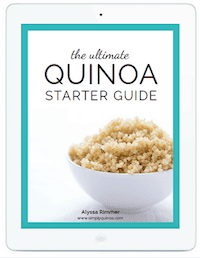 Do I just whirl quinoa in a blender or food processor? I was a subscriber to your blog, but all of a sudden it stopped coming. Don’t know why. 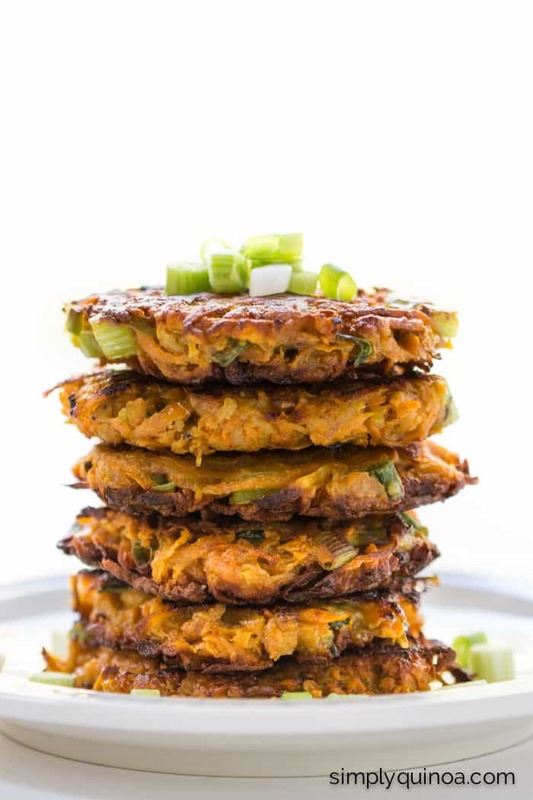 Have you tried these fritters with flax eggs? Hmm! You might just want to resign up 🙂 Maybe you got unsubscribed for some reason! And I have. They work, but not quite as well! 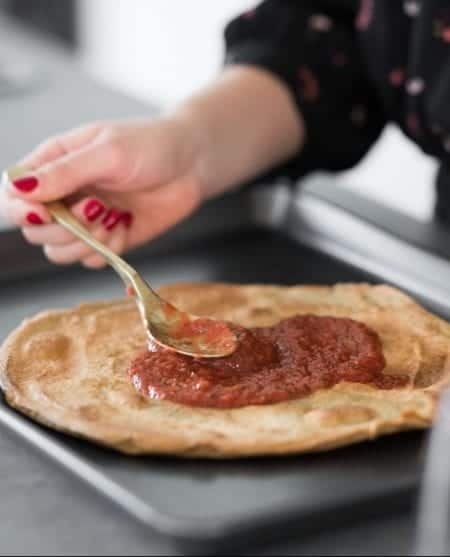 I look forward to trying this but wondering if there is any ideas for an egg substitute & making it vegan? Has anyone tried anything besides quinoa flour, like brown rice flour? Thanks Alyssa! 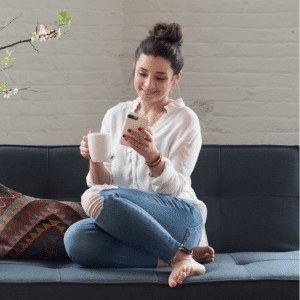 Do you know what the conversion is from quinoa flour to brown rice flour? can i pre-make these and freeze them? we are going to a tailgate with friends who are vegetarian and i wanted a fun finger food to fry up. I make them all the time, but with normal potatoes. I add garlic sometimes. They are very tasty. Hey, I was just wondering if you can use olive oil instead of coconut? THANK YOU! Love the idea of fresh chilis…mmmm! Can’t wait to try! Do you cook the sweet potato first and shred it raw? Thank you! I just made these and they turned out AWESOME. Though I made some revisions. I added chopped jalapeno, and I baked on a silicone mat instead of frying. Also subbed in chickpea flour for quinoa flour. Ooooohh! Love the chopped jalapeno and also that they can be baked. Wouldn’t have thought to try that! Omigosh! These were so yummy and easy to make. I added some curry and garlic. SO good. LOVE that idea! Curry is genius!